Born of expert craftsmanship, this cult constellation of multi-coloured powder pearls with an unforgettable violet fragrance created in 1987 is now available in an unprecedented harmony dedicated to Blanc de Perle. Today, the Meteorites hold the secret to Stardust technology - a light-creating polymer, which transforms light invisible to the naked eye into a pure and endless glow on the skin. 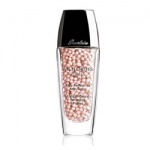 A subtle blend of matte, rosy and radiant blue-toned white pearls, combined with corrective coloured pearls, yellow to counter redness, pink for freshness and mauve to catch the light. 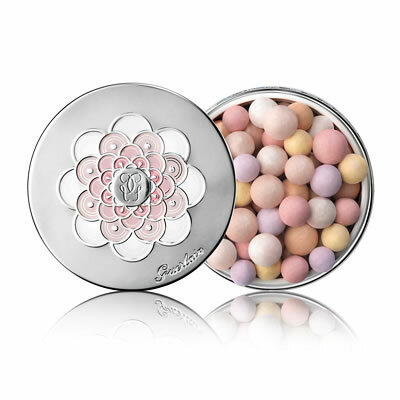 Guerlain Meteorites Pearls light up the face in an illuminating and corrective halo to give endless radiance. 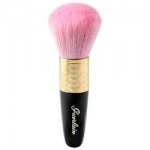 For best results apply the powder evenly to entire face to set makeup and improve hold. Or it can be used to illuminate the curved areas of the face by tracing a “G” from the center of the forehead towards the top of the cheekbone, then the bridge of the nose towards the chin and then finish with Guerlain Terracotta Powder on cheeks and jawline to sculpt.